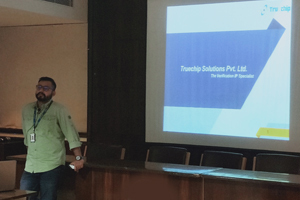 At RIET, Jaipur campus we are overwhelmed to hear from the VLSI Solution Provider leaders Truechip. 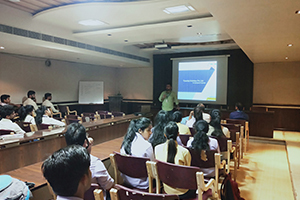 The Technical Guru’s from the companyimparted to students an interactive sessions to upgrade the students’ knowledge about the technology as-well-as the rising demand for the technically sound candidates in the field. As per the NASSCOM survey by 2020, India will be seeking a requirement of more than 7 lakh skilled candidates in this technical branch of VLSI computing. Truechip, the Verification IP specialist, is a leading provider of Design and Verification solutions – since last 10​years in VLSI development for ASIC, FPGA and SOC. Truechip is a privately held company, with a global footprint and sales coverage across North America, Europe and Asia. Truechip provides industry’s first 24×5 support model with specialization in VIP integration, customization and SOC Verification. 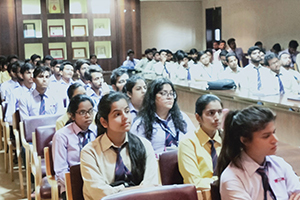 The company has enriched students with skilful training workshop & seminar followed by campus to recruit our candidates. We are thankful towards Truechip to give our students stand to show their skills and talent.